Offering integral solutions for the houses and researching new interior designs are the two key principles that define the PORCELANOSA Grupo’s business philosophy, as well as the line followed by all its collections. Under these premises, the eight firms from this business group will attend the 20th edition of the Madrid International Real Estate Exhibition Fair (SIMA). This convention, one of the most important in the sector, will take place from May 31st to June 3rd at the Madrid Fair, and it will host approximately 300 national and international exhibitors alike, (13% higher than in 2017), which will be set up over the 14.500 square metre area. 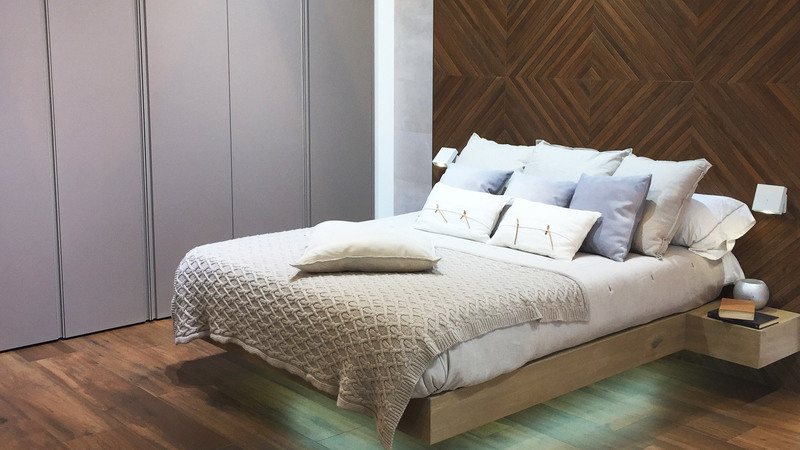 At this event, where 15.000 houses will be presented, the PORCELANOSA Grupo will showcase its latest and main designs aimed at residential projects, over the 98 square metre area taken up by the E3-004 stand, which is located in pavilion 10. The space to be shown has been divided into seven areas: The main Hall, a living room, a bedroom, two kitchens and two bathrooms, each of the rooms have been designed in accordance with the new necessities and services which the current society demands. Hence, the multidisciplinary, sustainable and innovative commitment presented by its materials. Among others, it is worth highlighting the flooring and wall tiles which characterise the different areas of the house. 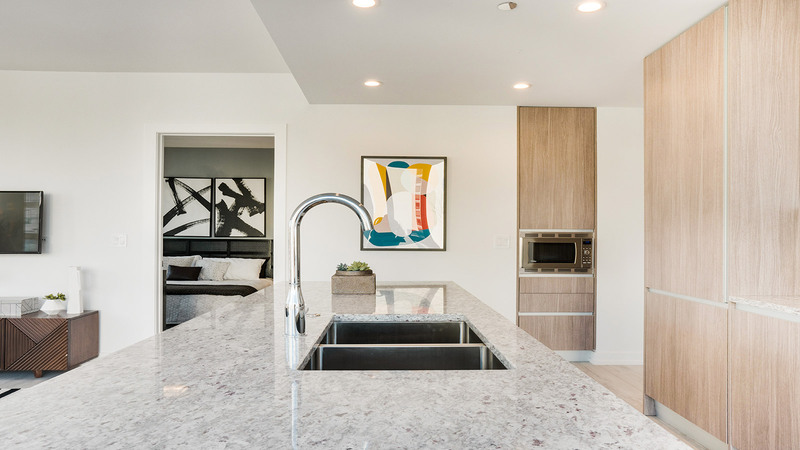 For instance: the Forest Fresno ecological ceramic floor tile, 14.3/22x90cm (installed in the first bathroom), the Delaware Natural wall tile, 29cmx120cm or 19.3cmx120cm (installed in the living room), the Bottega Acero wall tile, 31.6cmx90cm or 59.6cmx59,6cm (installed in the first kitchen), the Listón Madera Roble wall tile, 45cmX120cm (in the living room) and the Malaga Grey, 20cmX31.6cm (in the first bathroom). All these materials come from the firm, Porcelanosa. “Our products have been manufactured within the parameters of design and quality. Given the fact that we are dealing with eight firms aimed at building a huge number of products and building systems for the houses, we apply the very same style in every single finish. This is the added value offered by our brand, in which developers and final clients alike trust”, states Juan Bautista Ramos, the Commercial Director in the department of Big Projects from the Porcelanosa Grupo. Among others, it is worth highlighting the 59.6cmx59.6 cm Vintage Natural and Dayton Sand 59.6cmx59.6cm floor tiles (second kitchen), or the Newport Gray Nature (bedroom)floor tile. Regarding wall tiles, the firm adds the 59.6cmx59.6cm Nebraska Noir by Starwood and the 16.5cmx150cm Nebraska Tea.Urbatek, for its part, will offer the XLight floor tile, 6mm-thick and with the 120cmx120cm large format (in the central area of the stand) and the Arcan Corten Nature XLight wall tile, also 6mm-thick but in the 120cmx250cm format in the front part of the stand. “In this edition, we want to support the real estate developers, as well as presenting the latest designs that the Porcelanosa Grupo has come up with for the sector. In our stand, these professionals will be able to view the different materials and finishes alike that they want to include in their promotions”, highlights Ramos. 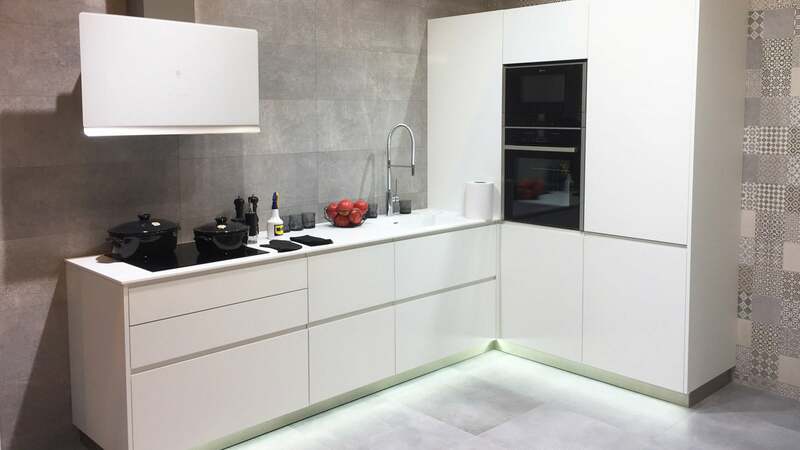 The outstanding product by Systempool will be KRION®, a cutting-edge Solid Surface.A technologically advanced material in the world of the Solid Surface. Among its properties, one can find the high resistance to UV and thermal shocks alike, its excellent fire performance, air purification, easy to clean and the disposal of chemical and antibacterial products. 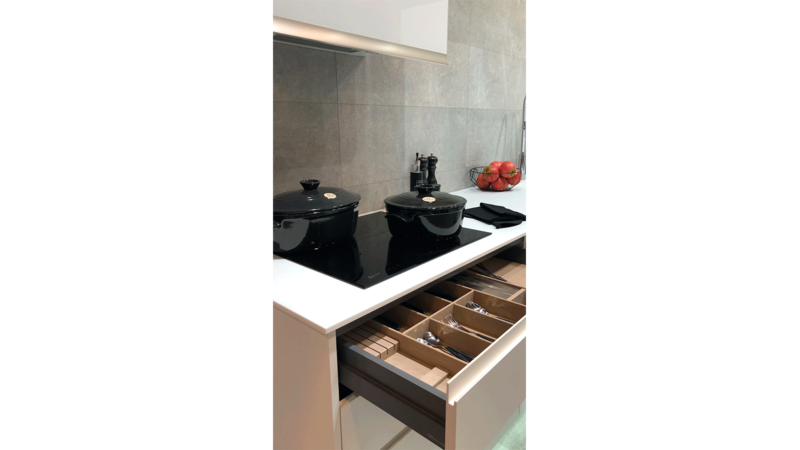 These are the features which can be found in the Line shower tray or the KRION® 1100 Snow White kitchen worktop.Noken, Gamadecor and Butech will also incorporate the main products from their catalogues. 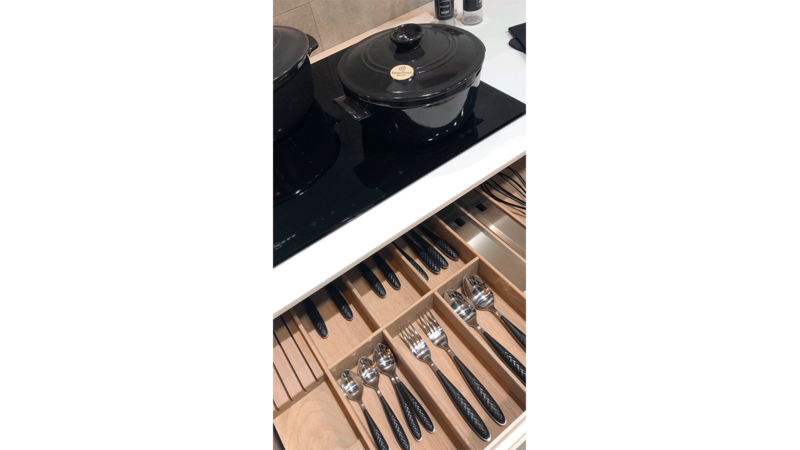 Gamadecor will showcase the latest used technologies in the kitchen, such as integrated handles and the sealed lasered edges. Regarding the cupboards, those that simulate that leather touch stand out. Noken Porcelanosa Bathrooms will bank on the Arquitect wall-hung sanitaryware, the Square structure with a double-bowl basin in a soft matt finish, 120cmx45cm, and the Urban and NK Concept countertop taps (all the pieces being arranged in the first bathroom). In the second bathroom, the incorporated products are the Neptune Slim Oval 30cmx20cm sprayer and the Acro Compact adjustable outlet pan. 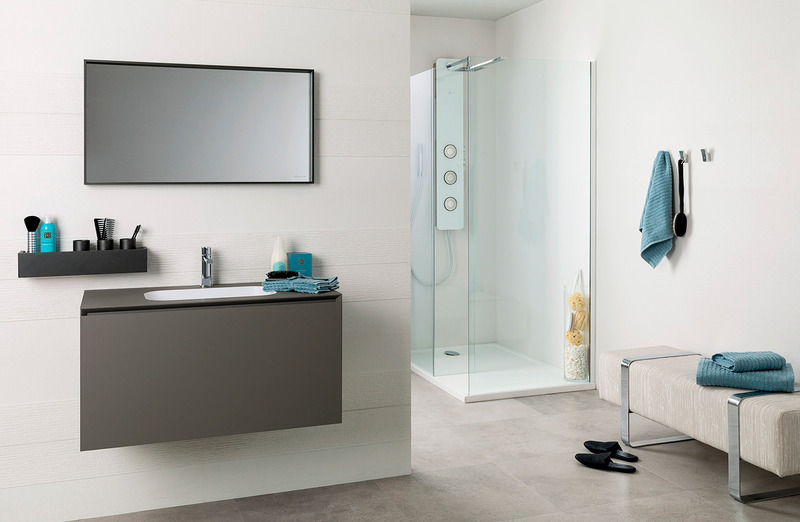 In bathroom atmospheres, Butech has added the Shower Deck shower tray, which features the hidden drain for the most exclusive toilets. The continuity feeling which is created with the rest of the bathroom flooring is possible because of the slopes which are hidden underneath the flooring. With regard to the façades, the systems created by the company for every type of XLight porcelain laminate by Urbatek really stand out. The commitment that the PORCELANOSA Grupo has with the real estate sector will become a reality at SIMA 2018, an event where all those professionals, consultants, investors and managers from the real estate sector will be present, at national and international level alike. 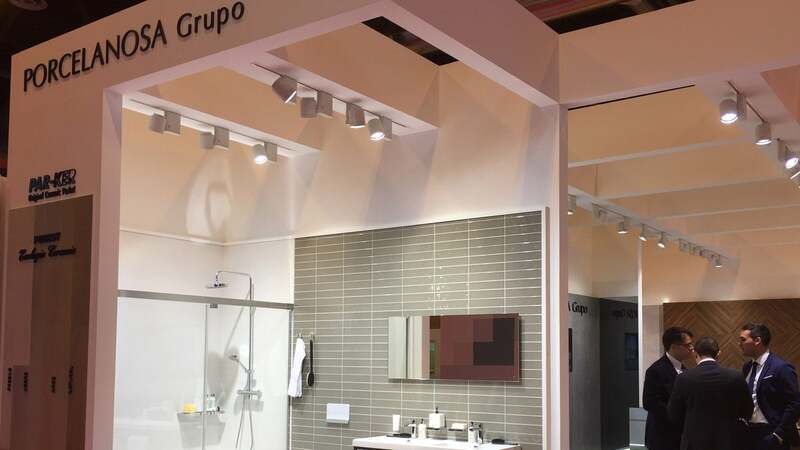 In this context, the conference that the expert team from Porcelanosa Partners will offer on June 1st at 12:30 in the SIMA zone, will take place inside hall 10 in the exhibition grounds. There, the twelve advantages of the program will be explained, in which 1.491 houses have already been registered. 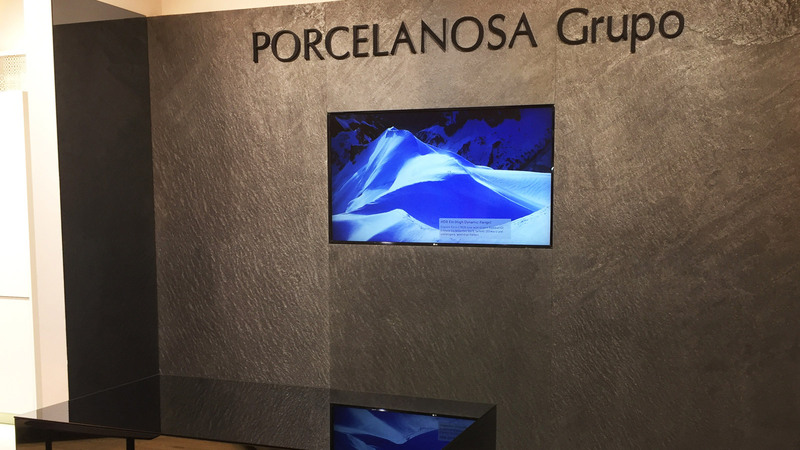 This features an 8mx3m advertising poster inside the residential grounds; 3D images with the chosen materials from the Grupo, the detailed catalogue in USB format with the selected products and the Porcelanosa Spaces app. It is with the latter that the final client will be able to view the chosen options by the developer. The requirements that are sought, so the property developers join this program, are related to their developments being made up of at least 20 houses, along with all materials coming from the PORCELANOSA Grupo. 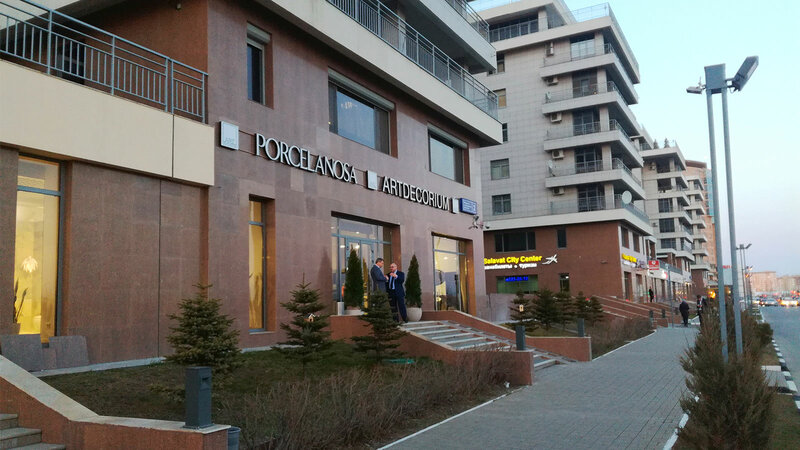 ‘The PORCELANOSA Partners program strengthens the marketing of the houses, as well as inviting developers and clients alike to be involved in the different construction processes. One of the program’s main attractions lies in the marketing plan. Along with the internal marketing and the joint work which is carried out with developers and clients, the Partners Projects who want it like so, can appear in the Lifestyle magazine, whose circulation is over 70.000 copies. In this way, visibility is given to the different houses, which form a part of this initiative’, states Ramos.